I've already discussed most of this material elsewhere but thought I'd post it to the proper forum. 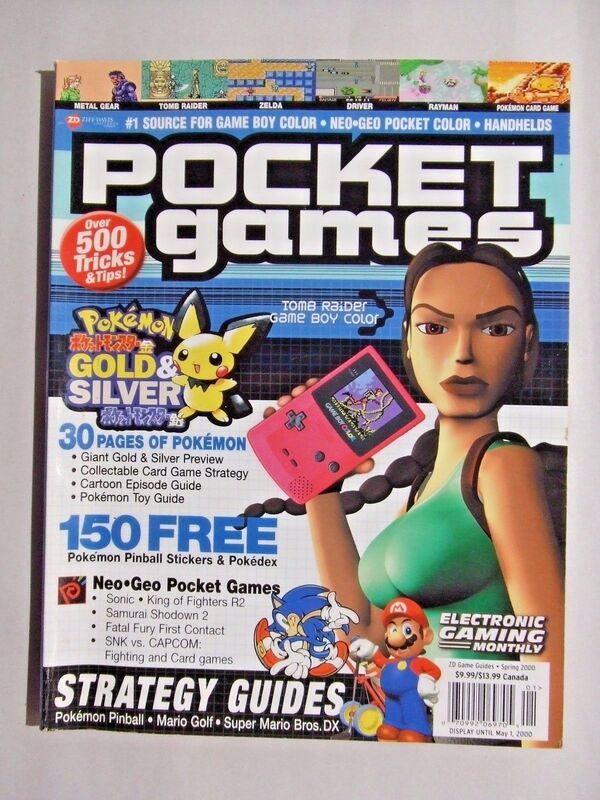 If you have any information about Pocket Games magazine, please chime in so we can fill in the details and eventually create a database entry for this publication! Published by Ziff Davis, Pocket Games was a loosely tri-annual magazine focusing on portable gaming, with a close - if not synonymous - relationship with the staff of Electronic Gaming Monthly. In fact, according to former writer Frank Provo, issues included re-purposed EGM content with "mostly original content" after issue #3. 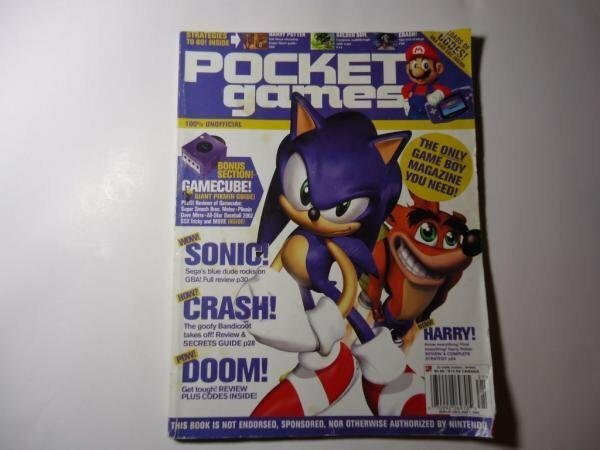 Issues of Pocket Games I've found carry a time stamp on the cover listing the publication date, publication season, or both. The last issue I've tracked down is issue 20 - I don't know if this is the final issue. A DVD with cardboard sleeve was included with issue 17. I don't know if the disc was included with all copies, or if standard/disc editions were printed. Frank Provo's Pocket Games portfolio page - includes lots of readable excerpts. RFGeneration.com - a blog discussing issue #1. The Strong's National Museum of Play - short magazine bio and image of issue #17 DVD in sleeve. Here's a cover thumbnail Gallery I put together a while back. If you can help with the unsightly question marks, that'd be grand. Issue 8 is up on eBay, but in acceptable condition. E-Day do we think we can fix up that corner in post? I am pretty sure that's fixable. Straight lines not too hard to fix on the UPC. And Blue border the same. Updated the OP and my fill-in-the-blank thumbnail Gallery with issue 8 details. Thanks, Phillyman!